Australia has announced its team under the leadership of Michael Clarke for the only ODI against Ireland, five vs. England and a couple of tour games. Mitchell Johnson, Steven Smith and Pat Cummins won the confidence of the national selectors as Nathan Lyon, Peter Nevill, Daniel Christian and Peter Forrest have been axed. 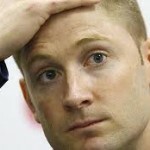 Michael Clarke, who has performed excellently ever since he was nominated as the captain, will be leading the 15-man squad. John Inverarity, the national selector was confident that the team will perform well in the forthcoming One Day International series and the changes made in the team will be vital for the national cricket. Mitchell Johnson was born on November 2, 1981, in Townsville, Queensland, a left arm fast bowler and a left hand batsman. He has played for Australia, Queensland, Western Australia and Mumbai Indians and has done well for all the teams he has represented. 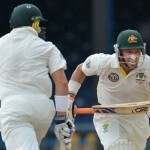 He is a lethal fast bowler and has been doing wonders for the Kangaroos in all versions of the game. The left arm speedster made his debut in ODIs against New Zealand on December, 10, 2005 at Jade Stadium, Christchurch. He has played ODI matches, grabbed 168 wickets at an average of 25.22 runs per wicket with the best of 6-31. The 30-year-old has scored 708 runs averaging 17.70, the best of unbeaten 73 with two fifties. Steven Smith was born on June 2, 1989, in Sydney, an all rounder who is right hand batsman and a leg break bowler. He has played for Australia, New South Wales, Royal Challengers Bangalore and quite a few other domestic teams with great success. Smith made his debut for Australia in the ODIs vs. West Indies on February 19, 2010 at Melbourne Cricket Ground. He was not required to bat and took a couple of wickets in the match which the home side won comprehensively by 125 runs. He has played 29 ODIs, scored 343 runs averaging 22.86 with the best of unbeaten 46 and has taken 22 wickets at an average of 34.31, having the best of 3 for 33 runs. Pat Cummins was born on May 8, 1993 in Westmead, Sydney, a right arm fast bowler and a right hand batsman. He is a sensational fast bowler and has represented Australia, New South Wales Second XI and New South Wales. The 19-year-old suffered a problem in his heel during the second Test against South Africa at Wanderers Stadium in November, 2011, but still clinched 6-79 in the second innings and was declared ‘Player of the match’ on his debut. Michael Clarke (capt), Shane Watson, George Bailey, Pat Cummins, Xavier Doherty, Ben Hilfenhaus, Michael Hussey, David Hussey, Mitchell Johnson, Brett Lee, Clint McKay, James Pattinson, Steve Smith, Matthew Wade (wk), David Warner. The only ODI against Ireland will be played on June 23, 2012 at Civil Service Cricket Club, Stormont, Belfast. The five match ODI series vs. their arch rivals England will commence on June 29, 2012 at the famous Lord’s, London.